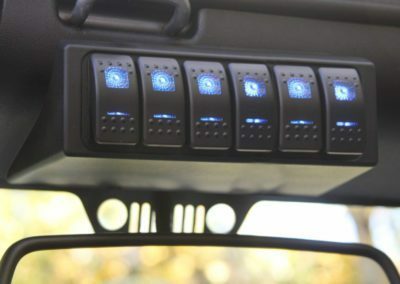 S-Tech Switch Systems | Developed, and manufactured in the USA. Build Your Own System Now! 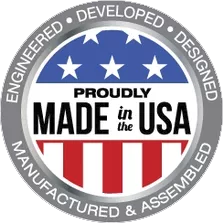 Proudly engineered, developed, designed, manufactured and assembled in the USA. S-TECH has recently celebrated its 3rd full year in business. We are very pleased with how our Made in the USA product line has been received within the off-road community. Our tremendous sales growth, customer acceptance and most importantly the high level of customer satisfaction is exactly why we created the S-TECH brand. We are proud of our 5 STAR rating on Google Business and the list of satisfied customers grows every day. When we started S-TECH, we offered an industry best 3 year Buyer Protection Plan. We have had no quality related returns in the first three years of operation. To recognize the confidence we have in our simple, efficient design and it’s build quality, we are increasing our warranty retrospectively to 5 years. This will offer about two more years to the very first customers and offer a full 5 years Buyer Protection Warranty to new customers. From all of the team members at S-TECH Switch Systems, thank you for choosing S-TECH. GREAT way to run a business! Quick to respond & awesome customer service. First, I had some questions on the kits and Scott spent almost 30min,on the phone, going over all the options and answered all my questions. Second, ordered a kit earlier this week and then I saw they had a $50 off sale…reach out to them and Scott gave me a call letting me know he’ll be crediting me the savings. I’ve not even received my kit but a very happy customer already; can’t wait to get this puppy installed in my Jeep.